High-quality audio-visual equipment hire and technical support. From the latest exhibition lighting rigs to state of-of-the-art sound systems, LED video walls to interactive terminals, we can provide, install and manage all of your lighting, AV and IT requirements. We offer an extensive range of specialist exhibition stand lighting and display lighting for both indoor and outdoor events. Whether you need mood lighting to create a warm wash or illuminate a particular graphics panel or floor display, we can advise as to the most suitable low-voltage halogen light or high-powered display spotlight. If the quality of sound is vital to your exhibition display or presentation, we are continually reinvesting in our range of audio equipment to ensure that your display or presentation sounds as good as it looks. I cannot praise enough the team that did our stand design and install. We will absolutely use you again !!! 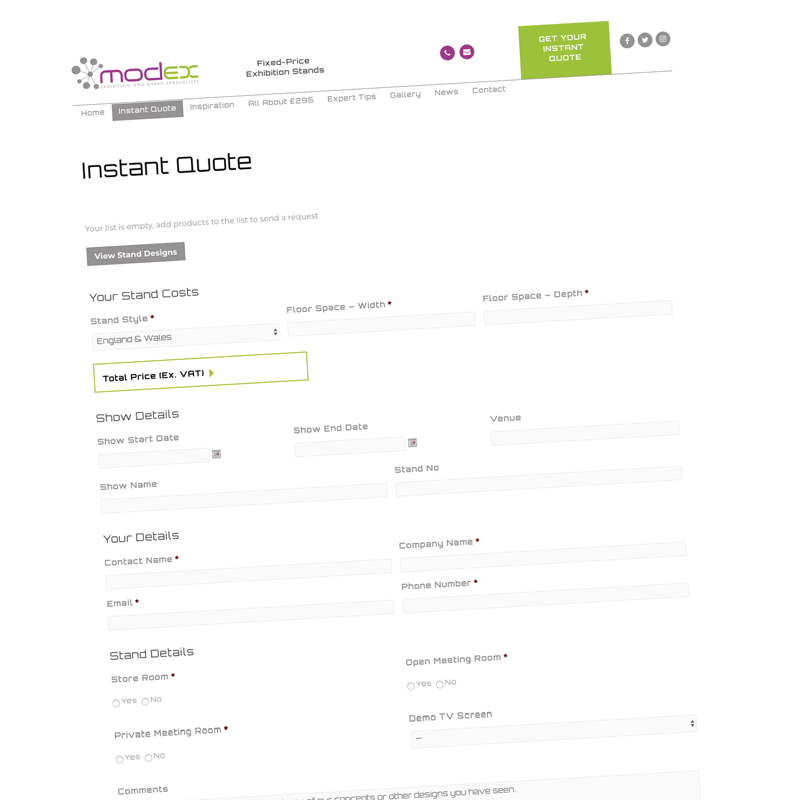 ..This was our first ever show in the UK … MODEX you are such a professional company and nothing was too much trouble , I will be recommending you fully ! Fantastic job ! We received great service from MODEX and the guys assigned to our build, they were always available, ready to help and everything completed without a hitch, a great service. Thank you very much Estelle, for all your help! It was probably the easiest show we have done in terms of the build up/down. Even though IBC make it quite difficult! I just wanted to say a quick and big thank you to you and your team on a fantastic stand at the SPE Offshore Show last week. Not only was it stress free for me but the chaps that fitted the stand and came on the Friday to take it down were really helpful and ensured that the stand looked its best. As mentioned over the phone, the MODEX Team itself is really professional, good laugh, respectful, in time, as we had a small error from our designing team you were really kind to reprint the sides before the exhibition. Highly recommending and respecting MODEX! We were complimented on numerous occasions with people stating it was one of the best/the best stand at the show. Only issue we had was our USB memory drives did not work with the televisions but we overcame that issue. 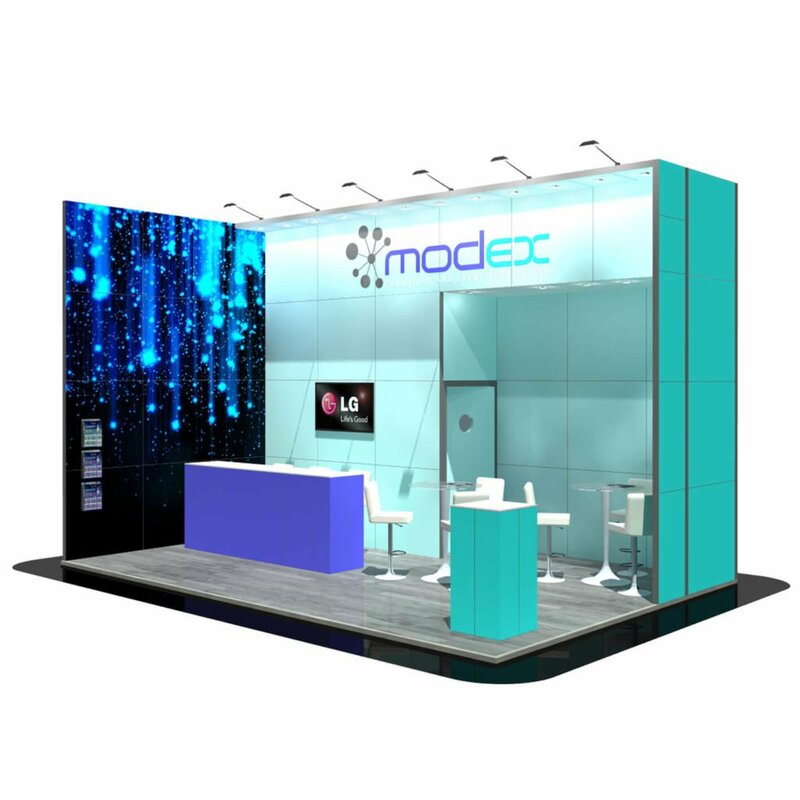 Just a note to say thank you to the team at MODEX – the stand looked really well and we were pleased with how it looked and the team that built it. Hi Estelle - everything went smooth for the show and team was very helpful. Booth was set up on time, team helped with our yearly power crisis with demo team and constantly checked in throughout the show. Love working with your team they are truly amazing! The only issue was our door handle kept falling off but I think my guys were a little rough on the door. Regarding the feedback – WELL DONE! The team – GREAT! Thank you and the MODEX team very much for your help both before and during the show, we were generally very happy and the show was a success for us. Really impressed with the MODEX staff, really helpful and always available. Simon came back the following day due to a lost package and went above and beyond. Dear Martin, I would like to thank you and all MODEX team. You did a great job for us. Everything was great, the graphics, the stand, the accessories, the work of Mark and Simon. It was very important to us and helped us a lot. Our representatives who visited us appreciated the stand and our appearance. Please convey my thanks to your people. The event went really well thanks – the stand was great! I recommended MODEX to the people who had a stand next to me - they thought it looked great too. Hi Estelle, thank you for working with us! I am very happy that we found each other. The stand was really good. It looked very smart and professional, and got put up and taken down in good time. Particular thanks to the set up staff - they were really good and helpful. I would certainly use MODEX again for any similar public outreach, and would highly recommend MODEX to others. From my point of view, working with Modex has been great! One issue we had was the folks setting up the booth had a drawing with the monitor on the back wall, rather than on the accent wall – they made the adjustment on site. Thanks! The stand was built on time and the install team were very pleasant! The stand met our expectations well – great quality! Everything was done with professionalism and speed, great team, great stand, extremely pleased. Thank you very much, we were very happy to have won that award which would not have been possible without you of course.